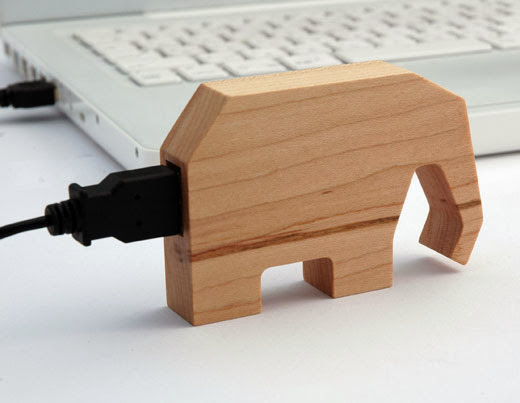 Collection of 'Awesome USB Drives' for storing your information from all over the world. 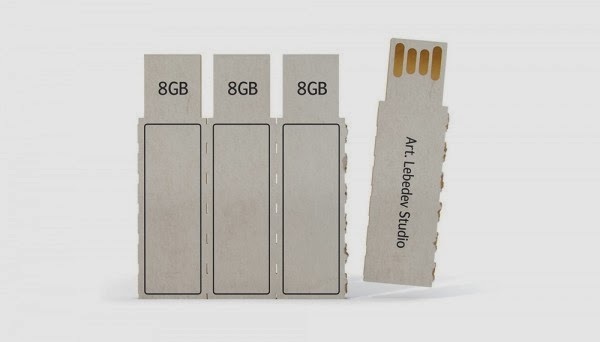 Cardboard USB Drive: Flashkus USB drive concept comes from design studio Art Lebedev; it's a cardboard version. Animal USB Drive: This animal USB Drive comes from Marubeni InfoTec; there are 5 different animal shapes, and they come in maple or walnut. 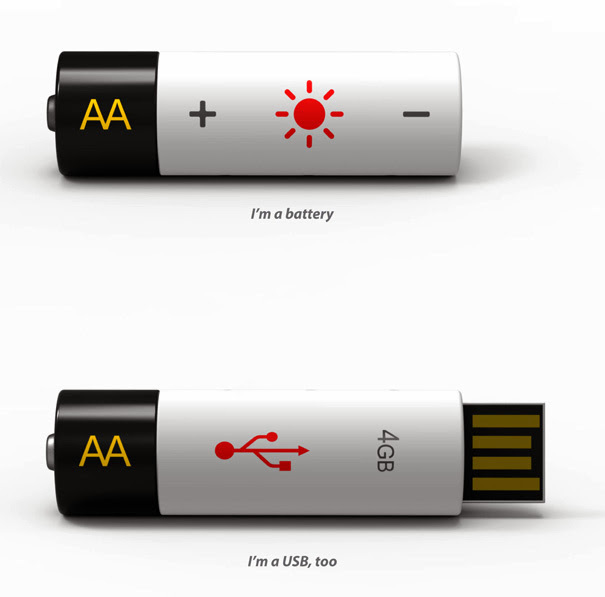 AA USB: This USB drive doubles up as power source for your camera, flashlight or smaller gadgets; to recharge just plug it into your notebook. 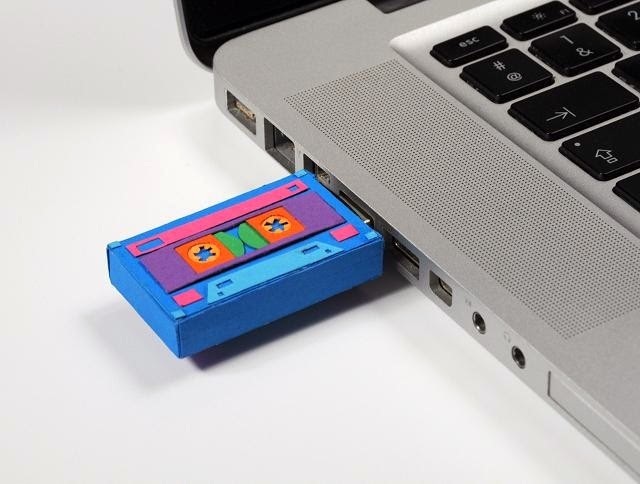 Paper USB Tape: This paper suit for USB drive comes in the shape of a retro cassette tape. 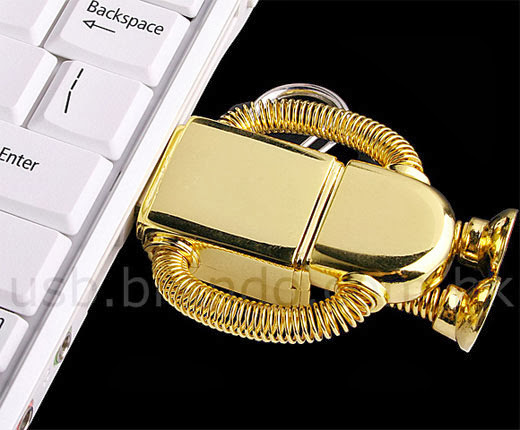 USB Robot Drive: This robot drive stores 8GB of data and comes with a handy keychain clip. 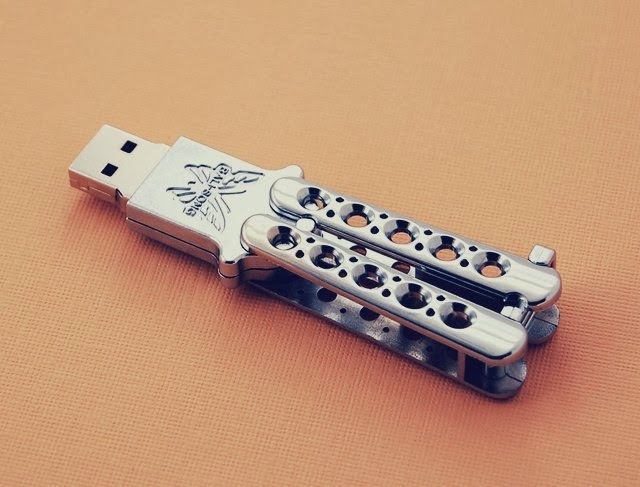 Butterfly Knife USB Drive: This USB drive is modeled after Benchmade's 62 Bali-Song knife. 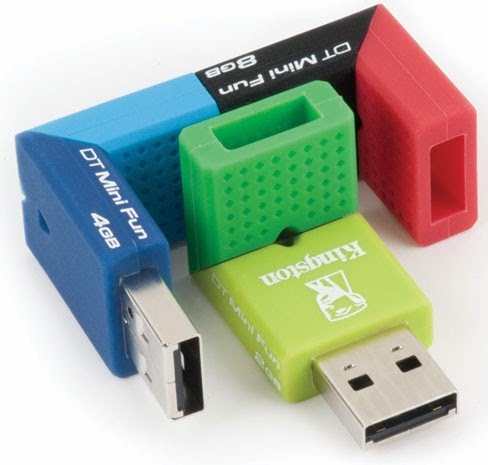 Kingston's DataTraveler Mini Fun USB Drives: These colorful plastic USB drives come in trio of hues to choose from and can also be connected together. 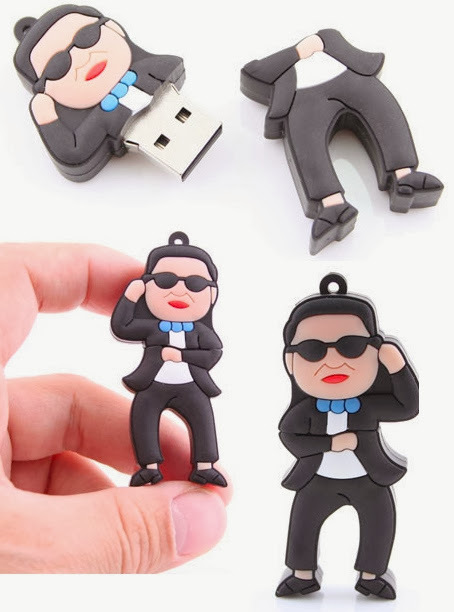 Gangnam Style USB Drive: Now you can store your data on a little PSY Gangnam Style USB Drive. 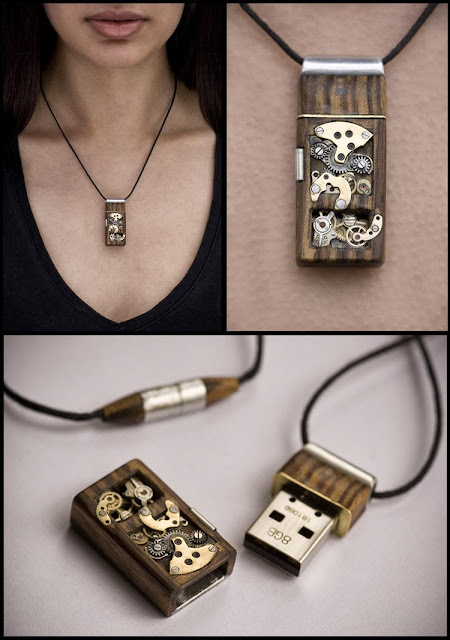 Mechanical USB Pendant: This 8GB USB drive is placed in a handcarved zebrano chassis with 10 rubies. 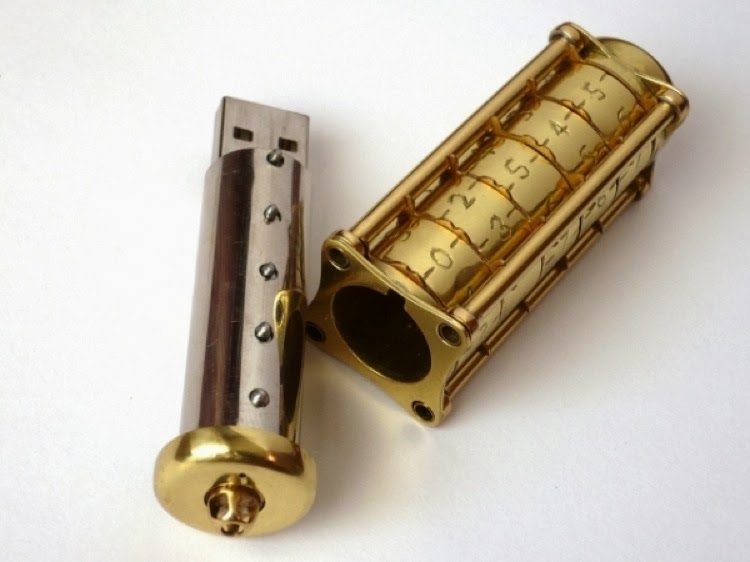 Cryptograph USB Stick: This steampunk Cryptograph USB-stick is a creation of unknown Russian designers. 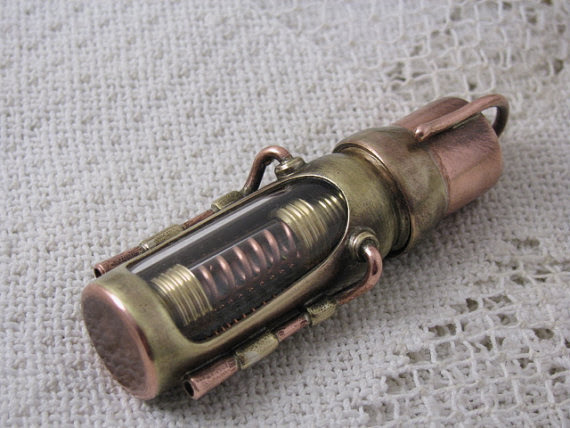 Steampunk USB Drive: This steampunk styled USB drive is made with brass, copper, glass; it waterproof USB drive features a curved glass window to view the inner workings of the drive. 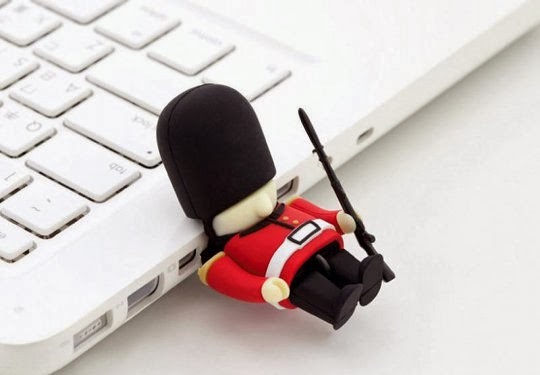 Queen's Guard Driver USB Memory Stick: This USB stick can store either 4GB or 8GB of information and comes in the shape of the famous red uniformed soldiers from London, complete with tall furry black helmet. 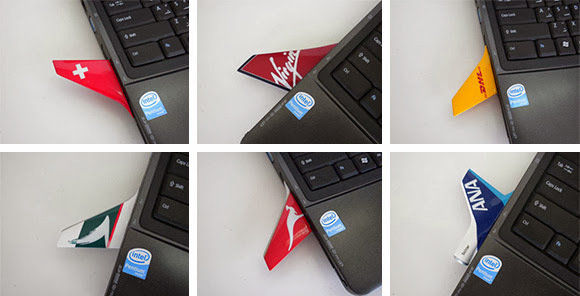 USB Wings: These USB wings are made by Bader Models; these USB drives features the logos of various airlines. 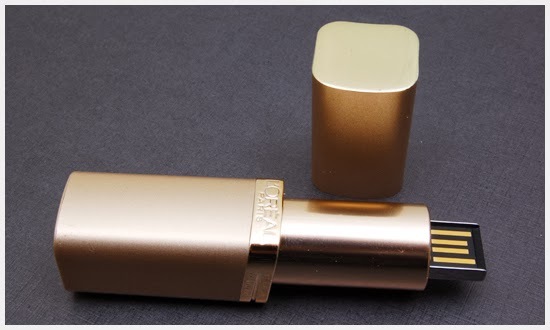 Don't miss to check out "Awesome USB Drives - Part: 1| 2| 3| 4." 15 Creative and Cool Coffee Based Advertisements.